THEY’RE FREAKING GREAT. Yes, I am talking about the shoes you see above and yes guys, I’m not lying when I say these shoes ROCK. I am so ready for a #LIT (pun intended) holiday season now that I can stunt on em in these booties! I bought them from justfab.com for $9.99 + shipping (around $15 total) and they’re a new staple in my wardrobe. The shoes were so cheap because JustFab has a VIP program that gives its new members their first pair of shoes for for only $9.99! You do however have to continue to buy shoes each month to be a part of the membership program which ends up being $39.95… BUT you can cancel the membership at anytime. Not saying that’s what I did to get these shoes…but…just an idea. I honestly love these shoes because I typically wear a lot of neutral colors and the pop of color can really spice up an outfit. I would highly recommend Justfab.com to anyone who is a shoe fanatic because they literally have every type of shoe you could think of and honestly they’re pretty cute too. SO, if you’re looking for some spicy footwear this holiday season and are trying to #sleigh (pun intended) go over to justfab.com and check out the goods!! 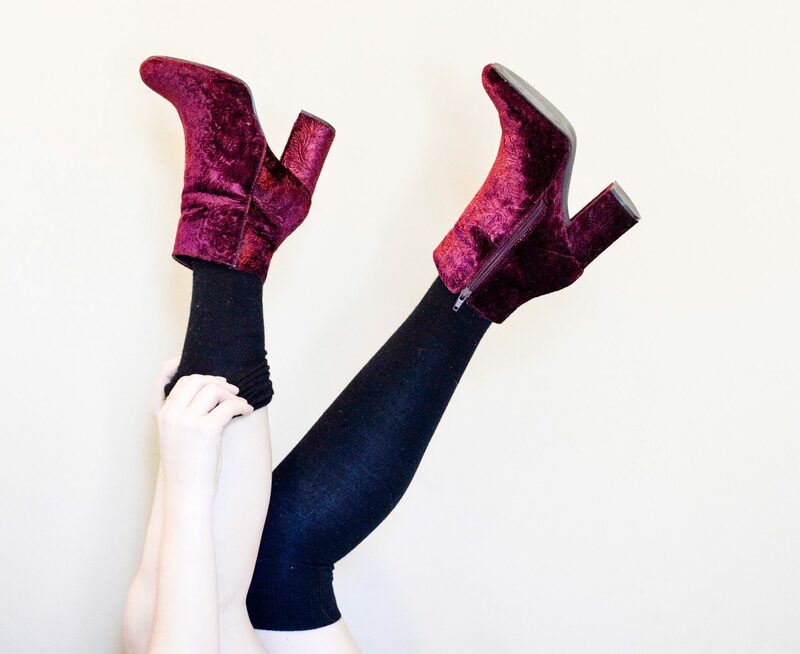 Disclaimer: this is not an ad, I just freaking love me a pair of CHEAP red velvet booties and its the season of giving so BAM here I am giving you all the low down on #savvyshopping.